Since the start of October at least four new hotel properties have opened in leisure and business tourist destinations like Tamil Nadu and Goa adding more than 400 branded rooms with another 260 rooms due for launch during next week. Battered by the sluggish rate in tourist inflow coupled with pocket pinching inflation hoteliers are lining up new property launches including luxury resorts, spacious villas and sea-facing premium rooms, to beat the slowdown blues. On Monday next week Mumbai-based Taj Hotels, from the house of the Tatas, will throw open 62 room and villas in Madikeri, Coorg, Karnataka under the Vivanta by Taj brand. Vivanta Madikeri is spread across a 180 acre rain forest area perched 4,000 feet above sea level. US-based hotel major Hyatt Hotel Corporation launched the Park Hyatt Chennai earlier this month. Located next to the Governor's residence, the hotel features 201 luxury guest rooms, including 20 indulgent suites. This will be followed by the official opening of 196 rooms in Turbhe, Navi Mumbai by mid-scale hotel brand Ibis from Accor Hotels. Located 10 minutes from Navi Mumbai's shopping and business areas of Vashi, Mahape and Belapur, the property's rooms start at Rs 4,000 per night. Ibis already has a property running near the domestic airport in Mumbai. Mumbai-based Hotel Leelaventure will also open the luxurious sea-facing Leela Palace Chennai in next month having more than 360 rooms. Having 16 floors in the building almost each of its rooms overlook the Bay of Bengal. Mid-scale brand Keys Hotels from Berggruen Hotels, on Monday, opened its 12th property in India in Goa located close to the popular Baga beach in the north of the state. Keys Resort Ronil has added 126 rooms besides three conference rooms. Sanjay Sethi, Managing Director and CEO, Berggruen Hotels, stated, "We are delighted in having established our presence in Goa in partnership with the Alcon group. Our endeavor will be to build on the brand equity of the resort and take it to the next level to create a world class facility for leisure travelers on the footsteps of Goa's party zone. Over the next 12 months, the resort will be upgraded through capital infusion by the Alcon group under our guidance". Recently the newly founded Peppermint Hotels, from the mid-segment range, opened in the holy town of Tirupati, Tamil Nadu. A sub-brand, Candy by Peppermint in partnership with PLR Hotels, opened a budget property with 38 rooms to begin and an additional 20 rooms under development. Banyan Tree an international operator in the boutique resort, residences and spa industry, will shortly open a 59 villa property located on the private island of Nediyathuruthu in the Alleppey district of Kerala. The resort's debut marks the first property in India for Banyan Tree Group. Kolkata-based, India's biggest hotel chain company ITC recently added 600 rooms, including 78 luruxy service apartments in Chennai with the opening of ITC Grand Chola. 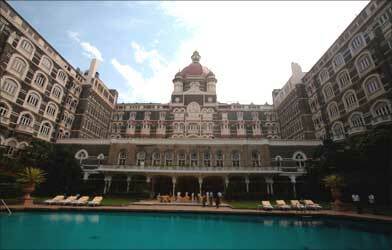 The premium property is one of the biggest hotels in India. Hoteliers are eager to cash in on the upcoming peak season hoping to recover the loss in business during the earlier part of the year. The official tourist season has already kick-started in states like Goa and Kerala, which usually sees the maximum inflow of leisure tourists.